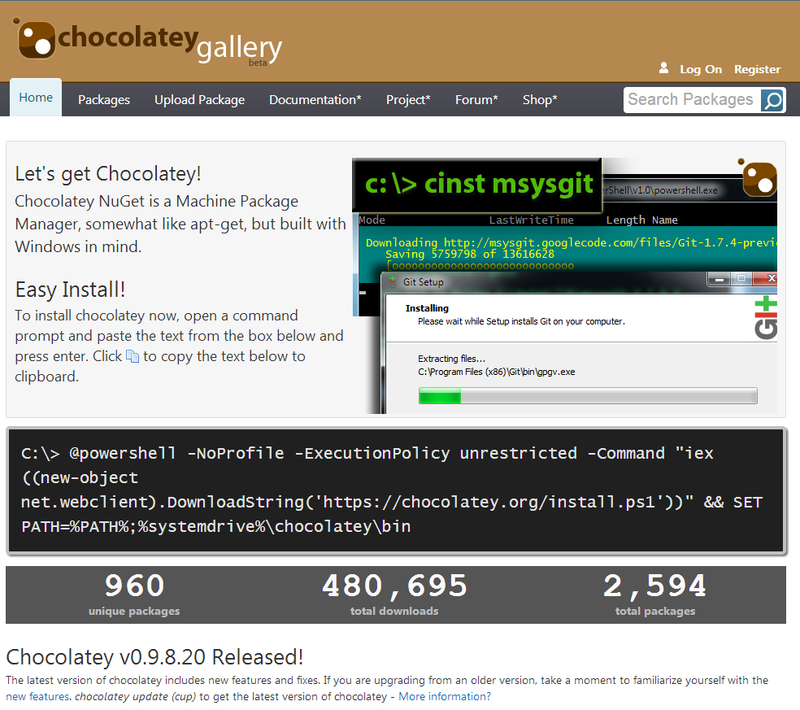 Solving IT puzzles: Chocolatey: Machine Package Manager, somewhat like apt-get, but built with Windows in mind. Chocolatey: Machine Package Manager, somewhat like apt-get, but built with Windows in mind. OK, this is awesome. A colleague of mine pointed out this new thing called Chocolatey. It's a little like 'apt' actually - come to think of it (for Linux people). Because it lets you command line install open-source software, that is taken from an online repository (Git in this case). You only need to run 1 shell script and from then on you can command line install applications. His idea was to use this in combination with the labs for TFS2012. Go have a look!